McDonald’s has come a long way from being a must-visit for your favorite hamburger and French fries combo. 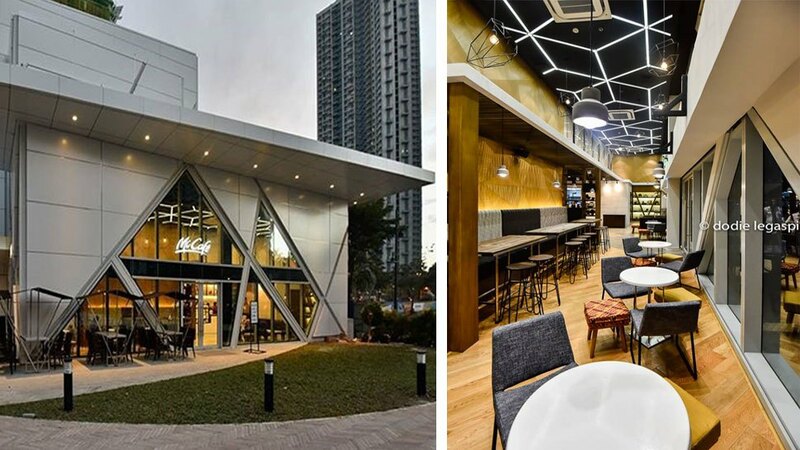 Today, the fast food empire has ventured into building and designing concept cafes that serve nothing but premium coffee with a dose of creative inspiration. We’re talking about the new standalone McCafé at the Maybank Performing Arts Theater in BGC. 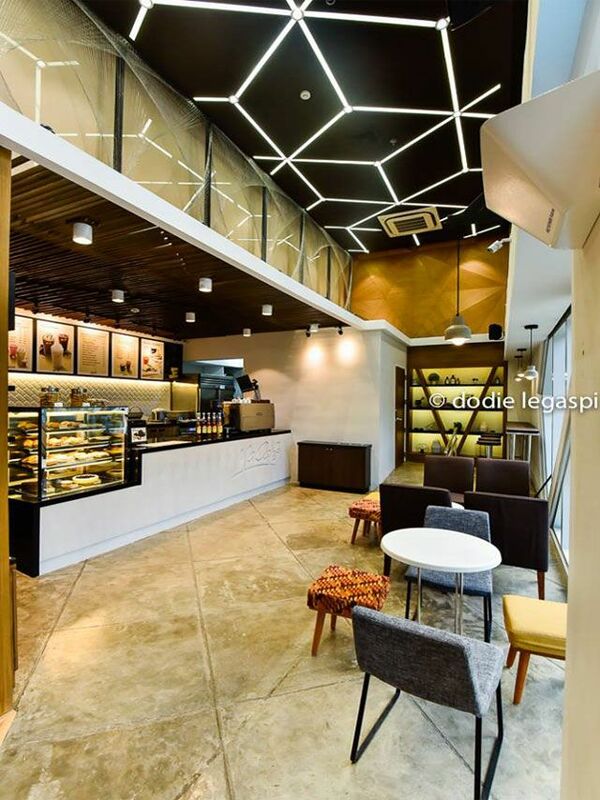 Next to the picturesque branch in Tagaytay-Calamba Road, this is the second franchise in the country that is designed to cater to yuppies who are looking for a stylish and affordable place to enjoy a hot cup of joe in while getting some work done. From the outside, visitors are greeted with a modern, deconstructivist-inspired façade that is slowly becoming a McCafé signature. The store’s interiors are a gorgeous blend of rustic-industrial and modernist design that evokes a relaxing vibe with its high-ceilings, geometric patterns, large, fragmented windows, and warm, ambient mood lighting. The cafe has several conversational seating areas and nooks with different chair styles that would make anybody feel at home. 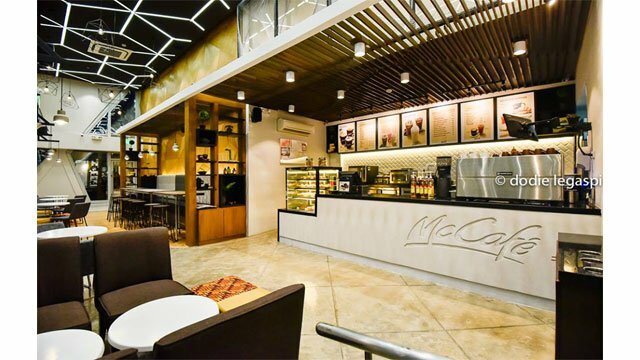 Whether you’re an office worker, freelancer, performer, design enthusiast, or someone who is just looking for a place to catch up with a friend, make sure to drop by this beautiful McCafé branch in Taguig! McCafe BGC Arts Center is located at G/F Maybank Performing Arts Theater, 26th corner Federacion Drive, Bonifacio Global City. Follow McDonald's on Facebook for more details.